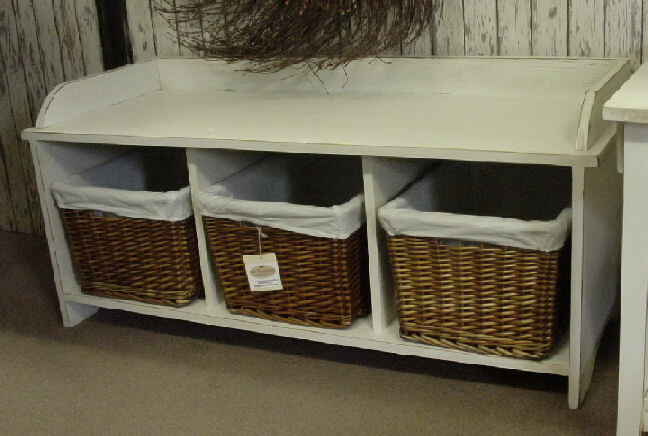 This nice little bench gives you place to store baskets to blankets. Like everything else it can be custom made to your dimensions and color. We can make it this just the way you want it. We also make a great three cubbie shelf that matches this bench. Look at this shelf #sh206 here.